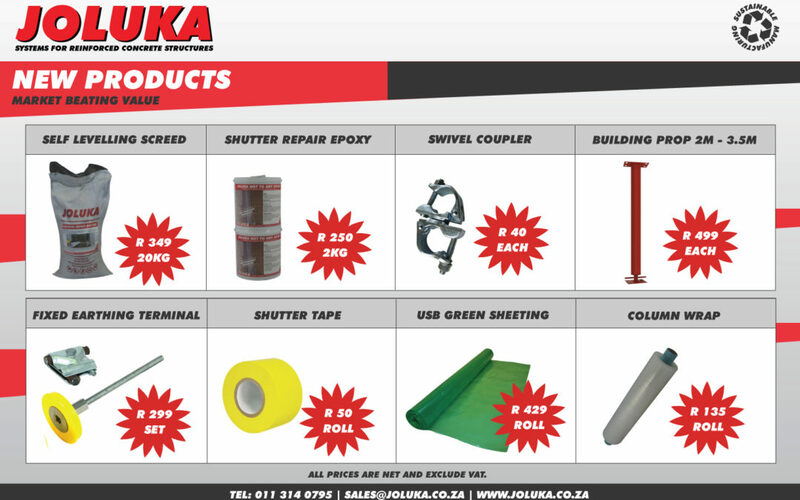 Joluka has some new and exciting products we now offer to make your Building a lot easier. Building Prop, Swivel Coupler, Shutter Repair Epoxy, Self Levelling Screed, Fixed Earthing Terminal, Shutter Tape, USB Green Sheeting and Column Wrap. Come and view our New Products.